Jim Rickards* explains the significance of what happened at the G20 meeting in China .. highlights the emergence of using IMF's money on a global basis .. & China's rise within this structure .. "Now that the G-20 has emerged as a global economic and political gathering it has evolved into a 'committee to run the world.' It is also significantly worth paying attention to .. The G-20 has also shifted to the International Monetary Fund (IMF) as a 'central bank of the world.' 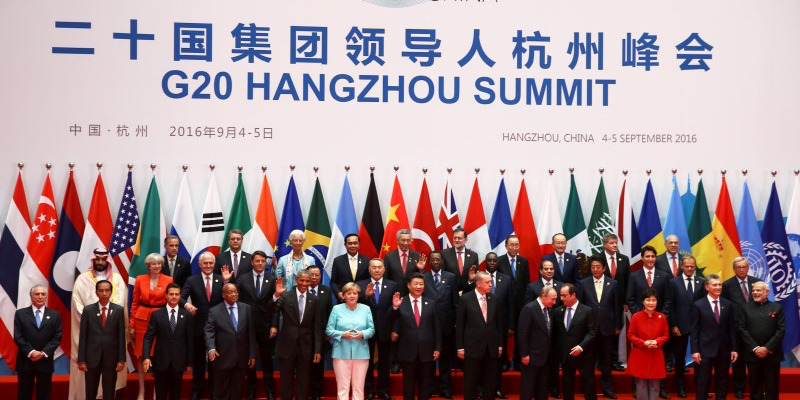 The G-20 acts as a pseudo 'board of governors for the IMF. As an intergovernmental organization the IMF that can utilize its own money, execute debt issuance and issue loans. At the forefront of these actions are the special drawing rights (SDR) which exist as world money for the IMF." .. what it means is the emergence of inflation .. "We’re going down a path where there’s no turning back. A path where, by the time all these institutional arrangements are put in place, you are going to wake up, look around and realize the dollar is similar to the Mexican peso ... The major mechanisms around the world, the balance sheets for the multinational corporations, the funds for major multilateral institutions, global capital markets and even the price of oil will all eventually be denominated in SDRs."